4750101 2FBC15 Mitsubishi 2FBC15 36/48V Electric Forklift. Spare Parts Catalog. Service (workshop) Manual. Operator's Instruction Manual. 4750102 2FBC18 Mitsubishi 2FBC18 36/48V Electric Forklift. Spare Parts Catalog. Service (workshop) Manual. Operator's Instruction Manual. 4750103 2FBC20 Mitsubishi 2FBC20 36/48V Electric Forklift. Spare Parts Catalog. Service (workshop) Manual. Operator's Instruction Manual. 4750104 2FBC25 Mitsubishi 2FBC25 36/48V Electric Forklift. Spare Parts Catalog. Service (workshop) Manual. Operator's Instruction Manual. 4750105 2FBC30 Mitsubishi 2FBC30 36/48V Electric Forklift. Spare Parts Catalog. Service (workshop) Manual. Operator's Instruction Manual. 4750106 FB10 Mitsubishi FB10KRT Electric Forklift. Spare Parts Catalog. Service (workshop) Manual. Operator's Instruction Manual. 4750107 FB12 Mitsubishi FB12KRT Electric Forklift. Spare Parts Catalog. Service (workshop) Manual. Operator's Instruction Manual. 4750108 FB15 Mitsubishi FB15KRT Electric Forklift. Spare Parts Catalog. Service (workshop) Manual. Operator's Instruction Manual. 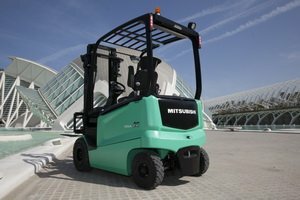 4750109 FB16 Mitsubishi FB16K Electric Forklift. Spare Parts Catalog. Service (workshop) Manual. Operator's Instruction Manual. 4750110 FB18 Mitsubishi FB18K Electric Forklift. Spare Parts Catalog. Service (workshop) Manual. Operator's Instruction Manual. 4750111 FB20 Mitsubishi FB20CN Electric Forklift. Spare Parts Catalog. Service (workshop) Manual. Operator's Instruction Manual. 4750112 FB25 Mitsubishi FB25K Electric Forklift. Spare Parts Catalog. Service (workshop) Manual. Operator's Instruction Manual. 4750113 FB30 Mitsubishi FB30K Electric Forklift. Spare Parts Catalog. Service (workshop) Manual. Operator's Instruction Manual. 4750114 FB35 Mitsubishi FB35K Electric Forklift. Spare Parts Catalog. Service (workshop) Manual. Operator's Instruction Manual. 4750115 FB40 Mitsubishi FB40 Electric Forklift. Spare Parts Catalog. Service (workshop) Manual. Operator's Instruction Manual. 4750116 FB45 Mitsubishi FB45 Electric Forklift. Spare Parts Catalog. Service (workshop) Manual. Operator's Instruction Manual. 4750117 FB50 Mitsubishi FB50 Electric Forklift. Spare Parts Catalog. Service (workshop) Manual. Operator's Instruction Manual. 4750118 FBC15 Mitsubishi FBC15 Electric Forklift. Spare Parts Catalog. Service (workshop) Manual. Operator's Instruction Manual. 4750119 FBC18 Mitsubishi FBC18K Electric Forklift. Spare Parts Catalog. Service (workshop) Manual. Operator's Instruction Manual. 4750120 FBC20 Mitsubishi FBC20 Electric Forklift. Spare Parts Catalog. Service (workshop) Manual. Operator's Instruction Manual. 4750121 FBC25 Mitsubishi FBC25 Electric Forklift. Spare Parts Catalog. Service (workshop) Manual. Operator's Instruction Manual. 4750122 FBC30 Mitsubishi FBC30 Electric Forklift. Spare Parts Catalog. Service (workshop) Manual. Operator's Instruction Manual. 4750123 FBC35 Mitsubishi FBC35N Electric Forklift. Spare Parts Catalog. Service (workshop) Manual. Operator's Instruction Manual. 4750124 FBC40 Mitsubishi FBC40N Electric Forklift. Spare Parts Catalog. Service (workshop) Manual. Operator's Instruction Manual. 4750125 FBC45 Mitsubishi FBC45N Electric Forklift. Spare Parts Catalog. Service (workshop) Manual. Operator's Instruction Manual. 4750126 FBC55 Mitsubishi FBC55N Electric Forklift. Spare Parts Catalog. Service (workshop) Manual. Operator's Instruction Manual. 4750127 FBP16 Mitsubishi FBP16 36/48V TR3000 Electric Forklift. Spare Parts Catalog. Service (workshop) Manual. Operator's Instruction Manual. 4750128 FBP18 Mitsubishi FBP18 36/48V TR3000 Electric Forklift. Spare Parts Catalog. Service (workshop) Manual. Operator's Instruction Manual. 4750129 FBP20 Mitsubishi FBP20 36/48V TR3000 Electric Forklift. Spare Parts Catalog. Service (workshop) Manual. Operator's Instruction Manual. 4750130 FBP25 Mitsubishi FBP25 36/48V TR3000 Electric Forklift. Spare Parts Catalog. Service (workshop) Manual. Operator's Instruction Manual. 4750131 FBP30 Mitsubishi FBP30 36/48V TR3000 Electric Forklift. Spare Parts Catalog. Service (workshop) Manual. Operator's Instruction Manual. 4750132 FBS13 Mitsubishi FBS13 24V Electric Forklift. Spare Parts Catalog. Service (workshop) Manual. Operator's Instruction Manual. 4750133 FBS15 Mitsubishi FBS15 24V Electric Forklift. Spare Parts Catalog. Service (workshop) Manual. Operator's Instruction Manual. 4750134 FBS18 Mitsubishi FBS18 36V Electric Forklift. Spare Parts Catalog. Service (workshop) Manual. Operator's Instruction Manual. 4750135 FBS20 Mitsubishi FBS20 48V Electric Forklift. Spare Parts Catalog. Service (workshop) Manual. Operator's Instruction Manual.